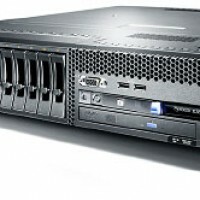 Home » News and Info » Latest news » Do I need a server? When working in an office environment, it is important to have the correct setup to ensure all your data is safe and accessible by many users and sometimes, from various locations. We’re often asked to provide various solutions within various budgets, but there are some end user requirements that are often overlooked. Can you access your data remotely? Can you access your emails on your mobile phone? Can you share contacts and calendars? What are the benefits of having a server? Do I even need a server? There are many products available today that will address each of these points. A Network Attached Storage (NAS) device is a device that consists of a number of hard drives that sit on the network allowing users to access and share data. NAS devices such as these are inexpensive but can offer basic functionality to a small business. By installing multiple drives you can have redundancy to prevent data loss in the event of disk failure. Some NAS devices can even stream photos, music and video straight to your TV. If you require something more, a basic server setup will accommodate a number of office users, provide remote access allowing users to work from home, email, contact and calendar sharing, but most importantly can offer redundancy to eliminate downtime suffered by hardware failure. With an automated backup solution all your data is kept safe, and can even be taken offsite. For larger organisations, a multi server solution may be required to ensure all information is accessible in a timely fashion. Spreading the load ensures that in the event of hardware failure, the business won’t grind to a halt. Sometimes for security reasons, a multi server solution is recommended. Whatever your needs may be, whether you’re a small business running from home, a high end corporate organisation, or someone who just wants to centralise their photos and music at home, we can help.